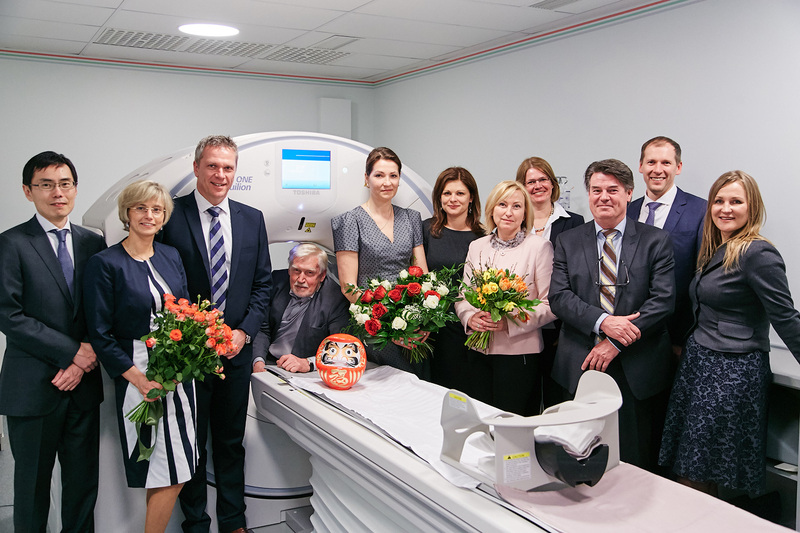 On April 5th of this year, along with the opening of the Baltic Academy of Radiology, which is under the wing of the Medical center ARS Diagnostic Clinic tika prezentēts currently the only 320 layer computer tomograph – Toshiba Aquilion One Genesis in the Baltics, was presented. Radiologists – diagnostics, who carry out patient examinations with the new diagnostic equipment, acknowledge its main benefits – the necessary examination time, a reduced X-ray radiation dose, as well as, of course, the test image quality. Dr. Ilze PRIEDITE (a specialist in thoracic and cardiovascular radiology): “Chest CT examinations can be performed much quicker with the new machine. This greatly reduces the breath retention time for the patient and makes conducting the examination easier, as well as reduces the amount of contrast medium used. The Radiation Reduction Program reduces the resulting radiation. It is very important to patients with oncological and chronic lung diseases, carrying out control tests. Dr. Evija OLMANE (a specialist in the field of abdominal radiology): “The new CT equipment has several clear advantages in the investigation of abdominal organs: The radiation dose of the X-ray is significantly reduced. The intravenous contrast medium amount is calculated automatically, according to the patient’s weight, which reduces the contrast medium dose. The examination time is brief. “Radiology is one of those areas wherein we feel strong and strive towards expanding the range of our offers, and it is, of course, made possible by the fact that even more and more Latvian medical institutions have the option to choose modern high-quality products and equipment. The Medical center ARS has taken a step towards the future with this choice and, I’m sure, has inspired other medical institutions, in their search for the highest quality services, to plan the renewal and replenishment of their medical equipment as well, ” says A.medical’s Chairman Igor Palkovs. A.medical offers diagnostic equipment from Agfa, Carestream, Hologic, Toshiba and other world-renowned brands.